Inquiring Green, Organized Gold, Authentic Blue, and Resourceful Orange. and create strong relationships within the work environment and beyond. 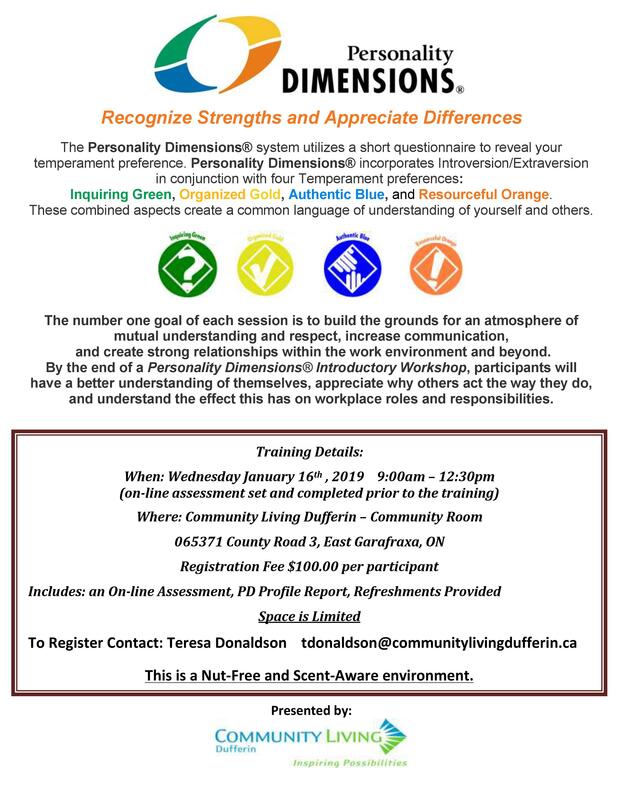 By the end of a Personality Dimensions® Introductory Workshop, participants will have a better understanding of themselves, appreciate why others act the way they do, and understand the effect this has on workplace roles and responsibilities.